As part of our 'Perspective on Payments' series, we sat down with Andy Guenthard, SVP, Partnerships and Sandra Friis, Vice President Sales from Adyen to discuss the opportunities and challenges associated with payments, and how the growth of mobile and introduction of other disruptive innovations will change the payments and retail landscapes. Adyen is the payments platform of choice for many of the world’s leading companies, providing a modern end-to-end infrastructure connecting directly to Visa, Mastercard, and consumers' globally preferred payment methods. Adyen delivers frictionless payments across in-store, mobile and ecommerce channels. With offices across the world, Adyen serves 9 of the 10 of the world’s largest Internet companies . Customers include Facebook, Uber, Netflix, Spotify, Casper, Bonobos and L’Oreal. What makes the payment flow such an important part of the travel retail experience? Sandra: In any retail environment, a smooth payment experience can be the difference between closing a sale or losing the customer. But, when it comes to travel, the experience is subject to additional pressures. As well as the usual retail pitfalls, like long queues and un-manned tills, shoppers are asking themselves: Do I have time before my flight departs? What’s the price in my local currency? Will my chosen method of payment be accepted? It’s vital that travel retailers are able to deliver a seamless payment experience, which accommodates the needs of the international shopper in a hurry. This makes the technical integration behind the scenes becomes all the more important. Working with the right partner lets you speed-up the payment process, reduce queues, enable one-click and mobile payments and support any payment method and currency. What challenges are unique to the travel industry? Andy: The travel industry global by definition. Customers are often making purchases in a foreign region and they have diverse expectations when it comes to customer experience and ways to pay. Another unique challenge is the high average value of each purchase. This can impact authorisation rates, particularly when transactions are completed across border. Card providers in different countries set different limits around maximum transactions, so it is important to understand how this can be managed or mitigated. The combination of high average transaction value and frequent use of foreign cards can often raise flags for on your risk management system. You need a system in place that can accurately profile shoppers so you don’t refuse legitimate transactions. A smart risk system will use advanced linking algorithms, proprietary device fingerprinting and network intelligence to track devices, networks, and online personas to build a complete picture of the shopper behind the transaction. This lets you block fraudsters while reducing friction for loyal shoppers. Why do you feel that optimising payments is especially important to get right within the travel ecosystem? Andy: It’s important to remember that a high proportion of your customers are in a foreign environment. Making the payment process as simple and familiar as possible plays an important role in helping to boosting sales and build loyalty. What are travel suppliers and retailers ignoring now that they should start to consider if they want to succeed in the future? Sandra: Most travel retailers and suppliers understand the importance of customer experience and are investing heavily in improving their services. But what’s often overlooked is the role payments place in this experience. Given the average transaction value is quite high in the travel sector, some shoppers may prefer to pay in instalments or through a buy-now-pay-later programme. So, it’s worth considering implementing this functionality into your payments. How do you feel the shift to mobile has influenced payments? Andy: Mobile firmly puts the power into the hands of the consumer. Traditionally, travellers relied on travel operators. Then, the internet arrived, providing customers with more freedom and greater choice. 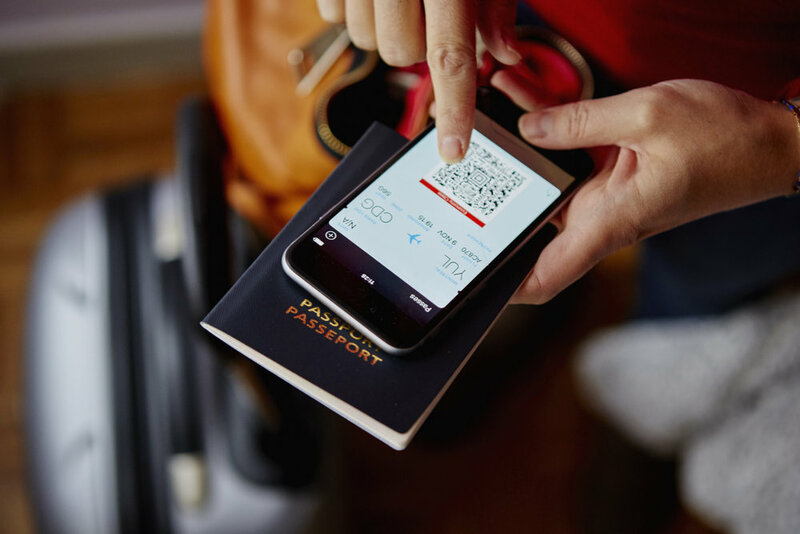 Today, mobile is engrained in the traveller journey; with their smartphone in their pocket, travellers can check into flights, upgrade seats reserve hotel rooms and even order room service. Yet, while the importance of mobile is widely known, many businesses are still falling short when it comes to mobile payments. We have daily conversations about mobile optimisation, and the ability to switch seamlessly between mobile and desktop. For example: A travel booking is often completed on desktop. But when the customer checks in or flies, they are on their mobile. So, if your customer can’t seamlessly switch from desktop to mobile, and pay easily, you’re reducing your ability to upsell. Technical integration is the key to enable a good mobile experience. You need to think about all the different payment experiences that mobile enables and make sure you can support unified customer journeys seamlessly. What innovations, shifts, changes in the payments world do travel suppliers and retailers need to watch out for? Andy: Different regions are driving different innovations. And, since travel suppliers operate in a global marketplace, they need to keep abreast of evolving customer expectations worldwide. For example, mobile wallets and QR codes play a vital role for sales in China, and they prefer to pay with China UnionPay, Alipay or WeChat Pay. Payments also need to be streamlined – look at two of the most successful travel companies at the moment, Uber and Airbnb. Both offer a frictionless experience, which is quickly becoming the standard customers expect. You need to think about how to simplify and optimise the process for mobile, especially if you are looking to upsell ancillary services. Do you expect there will be other consumer behaviour trends that will dramatically shift payment behaviour? What do you think they will be? Sandra: Paying through social media is nothing new in travel; KLM pioneered payments via Twitter back in 2014. But it’s becoming increasingly mainstream. Younger generations like Millennials and Gen-Z want to do everything through the apps they use. They don’t want to have to download another app or launch a web-browser to complete a transaction. If you’re engaging with a customer through Instagram or Snapchat, the next step is to let them pay within these apps. What specific actions would you recommend for travel suppliers and retailers to take as they seek to improve their payment flows? Sandra: Do your research and broaden your thinking. A lot of businesses simply aren’t aware of the strategic role payments can play in their future growth. Working with the right payments partner helps improve the customer experience now, while preparing for whatever’s coming next. It’s important your payments partner understands your infrastructure requirements and is capable of scaling to meet your evolving needs. Otherwise you may end up with a system that requires a patchwork of different systems updates and functionalities, rather than a fully integrated and unified solution. What are the highest priorities for travellers at the payment point? Andy: Priority number one is to support a wide variety of payment methods and currencies. Welcoming international customers with an experience tailored to their needs will create a positive experience and encourage repeat purchases. Secondly, well as collecting payments, you need to think carefully about how you return funds to your customers. Cancellations, refunds or changes to a product or service are common in the travel industry. So make it as easy as possible for customers to get a refund or reschedule their service. If you get this right, you’ll have happy customers coming back for more.